Stealing from millennials to give to the rich. Robinhood App sells user customer data to make a quick buck from the high-frequency trading (HFT) firms on Wall Street. 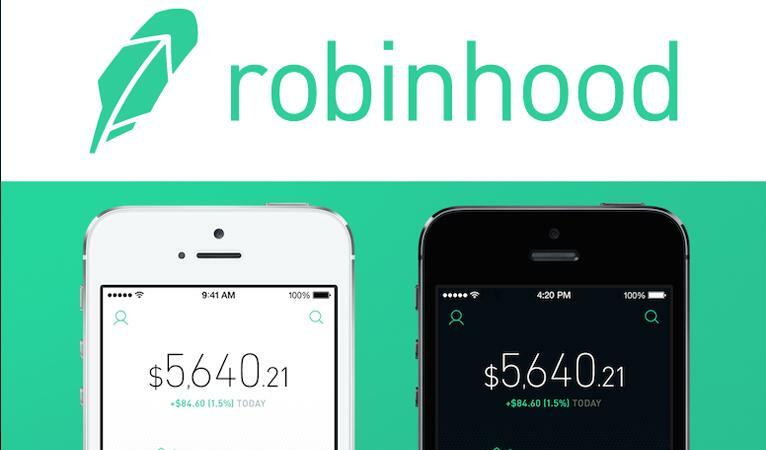 Robinhood Financial, LLC, a US-based mobile stock brokerage company, founded on the basis of disrupting the brokage industry by offering commission-free trading, has been secretly making millions of dollars in a profit scheme by selling users' data to HFT traders, said Logan Kane, a writer for North of Sunset Publishing. Kane said the latest Second Quarter Securities and Exchanges Commission (SEC) filing shows that Robinhood Financial takes from the millennial and gives to the HFT firms. 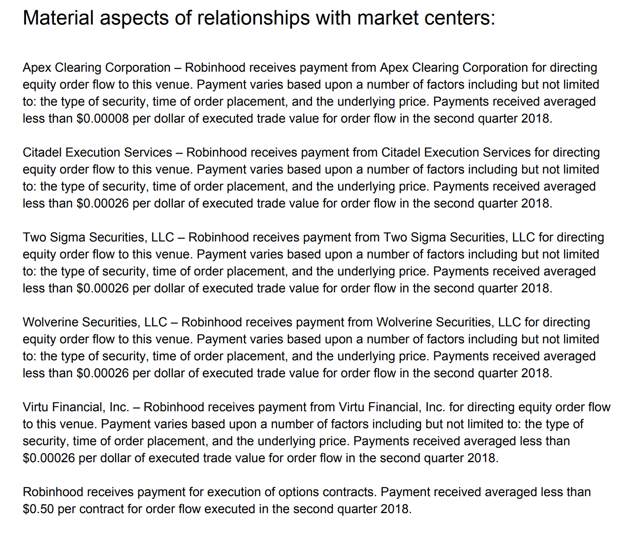 "Robinhood accept payment for order flow, but on a back-of-the-envelope calculation, they appear to be selling their customers' orders for over ten times as much as other brokers who engage in the practice. It's a conflict of interest and is bad for you as a customer. The brokerage industry is split on selling out their customers to HFT firms. Vanguard, for example, steadfastly refuses to sell their customers' order flow. Interactive Brokers, which is the preferred broker for sophisticated retail traders, doesn't sell order flow and allows customers to route orders to any exchange they choose. Robinhood not only engages in selling customer orders but seems to be making far more than their competitors from it. Among brokers that receive payment for order flow, it's typically a small percentage of their revenue but a big chunk of change nonetheless," Kane said. This represents, a severe breach of confidentiality for its over four million active users, and a remarkable act of deception from the Silicon Valley firm that promotes ethical trading practices to benefit the everyday American, but as we discovered via Kane's reporting -- the company is handsomely profiting from the average person by selling users' order flow. "Invest for free: We believe that the financial system should work for the rest of us, not just the wealthy. We’ve cut the fat that makes other brokerages costly, like manual account management and hundreds of storefront locations, so we can offer zero commission trading." "Trusted by Millions in the USA: We’re serious about security and use cutting-edge technology to ensure your personal information is fully encrypted and securely stored." "Introducing Free Options: Trading Find out how to trade options the Robinhood way. It’s quick, straightforward & free." 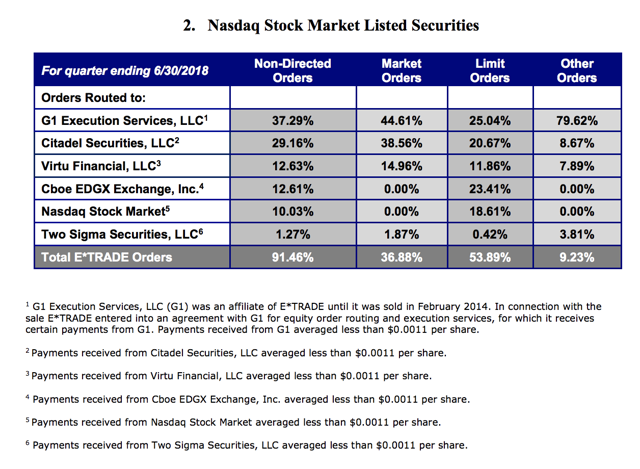 Kane explains that brokerage firms that sell order flow must disclose these transactions to the SEC. He said: "there is a material difference in the disclosures between what Robinhood and other discount brokers are showing that suggests that something is going on behind the scenes that we don't understand at Robinhood." Compare this with E*TRADE. 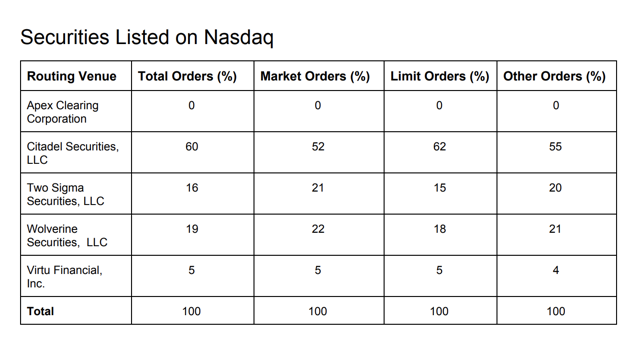 They have AUM of $392.8 billion and generate roughly $47 million per quarter selling order flow to HFT (from the latest E*TRADE rule 606 disclosure). TD Ameritrade has AUM of roughly $1.2 trillion and made $119 million last quarter selling order flow (From TD Ameritrade's rule 606 disclosure). "Look closely here - if you don't, you'll miss it," said Kane. 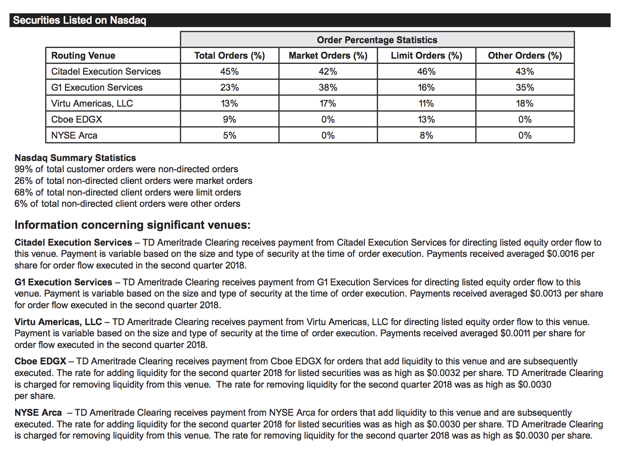 TD Ameritrade and E*TRADE both report their payments for order flow as a tenth of a penny per share. Now glance at Robinhood's SEC filing. They report their figure as "per dollar of executed trade value." According to Kane, this means the numbers in Robinhood's filings appear smaller if they are not cross-referenced by competitors, but it is actually much larger. "Let's do some quick math. Assume the average stock traded has a share price of $50. It takes 20,000 shares traded at $50 for $1,000,000 in volume, for which E*TRADE makes $22 per $1,000,000 traded, which sounds like a small number until you realize they cleared $47,000,000 last quarter from this. But off an identical $1,000,000 in volume, Robinhood gets paid $260 from the same HFT firms. If Robinhood did as much trade volume as E*TRADE, they would theoretically be making close to $500 million per quarter in payments from HFT firms," Kane said. Kane asks the question: Why are high-frequency trading firms willing to pay over 10 times as much for Robinhood orders than they are for orders from other brokerages? He notes that the co-founders of Robinhood have had a history of building software for hedge funds and high-frequency traders. Kane then asks another difficult question: Why wouldn't they report how much they are getting paid per share like E*TRADE, TD Ameritrade, or Charles Schwab and instead report per dollar of trade value where the number can look smaller when it's actually ten times as much? "I'm not a conspiracy theorist... But Robinhood is not being transparent about how they make their money. Every other discount broker reports their payments from HFT "per share", but Robinhood reports "per dollar", and when you do the math, they appear to be receiving far more from HFT firms than other brokerages. This raises questions about the quality of execution that Robinhood provides if their true customers are HFT firms. Robinhood isn't the worst thing to happen to online trading, but they market their service as a free/no-commission product, which has the effect of pushing trade volume through the roof. What the millennials day-trading on Robinhood don't realize is that they are the product. Robinhood is well on their way to making hundreds of millions of dollars in cash income by selling their customers' orders to the HFT meat grinder. High-frequency traders are not charities. The only reason high-frequency traders would pay Robinhood tens to hundreds of millions of dollars is that they can exploit the retail customers for far more than they pay Robinhood," Kane concluded. So, once again, sorry millennials - Wall Street and Silicon Valley win again. The deception of free trading via Robinhood comes at the hidden cost of poor execution and being frontrun by HFTs on every single trade.